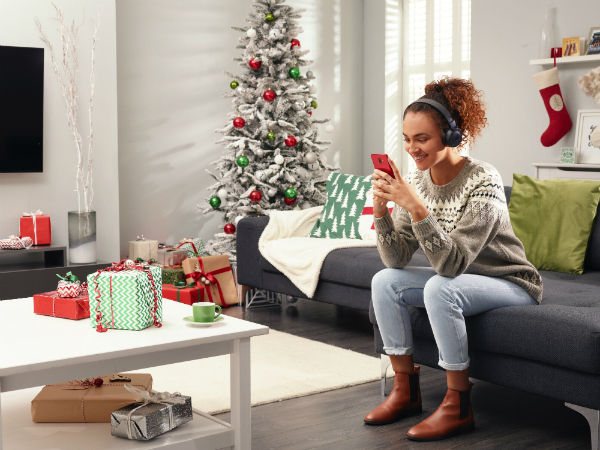 If you’re thinking of buying someone a shiny new phone for Christmas – or you’re thinking of putting one on your own Christmas list – you’ve come to the right place for inspiration. There’s a whole load of brilliant mid-range phones that don’t skimp on specs, which should be within everyone’s price range. Here – in no particular order – are some of our favourites. We’re straight in with a phone that proves you don’t have to spend the big bucks to get all the features you need. Right off the bat there’s that incredible 6.5-inch screen. 6.5-inches! That’s huge! And the glass screen covers pretty much the whole front of the phone. It’ll certainly draw you in when you’re catching up on a boxset. For the price, it’s one heck of a screen. And then there’s the camera. From wide angle photos for landscape masterpieces and arty background blurs to great low-light pics and an AI feature that automatically adjusts the settings based on where you are, you’ll be impressed. We were. It’s been a busy year for Nokia, with new phone releases left, right and centre. The Nokia 7.1 is a great mid-range option, though it looks pretty high-end to us. It’s hard as nails, with super-tough Corning Gorilla Glass protecting it from damage and scratches, and with its metal and glass design, it looks the business. There’s a 5.84-inch Full HD display which we can confirm is a pleasure to watch videos on, and the fact that it offers real-time SDR to HDR conversion means that even if your content isn’t high quality, you can still enjoy it in high quality. What else? Oh yes, the camera. The dual lens will give you stylish shots with depth, and the selfie camera can do all sorts of fun things with masks, animojis and the like – perfect to fill your downtime. The Motorola G6 Plus is a clever old so-and-so. Its camera is smart enough to know what landmark you’re pointing at, and will give you more information. So if you’re on holiday and want to know more, Moto is on hand. But if that’s a little gimmicky – and there’s nothing wrong with a gimmick, by the way – then there’s some solid specs to enjoy too. There’s the 5.9-inch display – and it’s edge-to-edge too (so cool). The aspect is a lovely big 18:9 so you see more on the screen. And it looks so much more expensive than it is, with a 3D glass back is that reflects the light and looks different from every angle. Finally, there’s a clever camera on board which focuses in no time, and guarantees great pictures in all light. And there are more of those fun filters for selfies you just won’t be able to resist sharing. The latest Samsung tech is right here on this terrific mid-range Galaxy A6. There’s no denying it’s a bit of a looker, with its slimline aluminium body and smooth curves. And there’s a screen to match. It’s 5.6-inches, extends right to the edge which we always think looks great, and it’s Super AMOLED – that means you get rich, vivid colours and deep blacks. Prepare for sharp photos and lots of detail thanks to the A6’s top-notch 16MP rear camera. Around the front, there’s another 16MP camera which brings faces right into focus when you hold the phone at arm’s length, and there are three flash settings to make sure your picture is just right, day or night. Good design, good spec. What’s not to like? If you’re looking for something that looks and runs like a top-spec phone, but don’t want to pay the price, Huawei’s P20 Lite would be a good bet. Lite by name, but not by nature, there’s a nice big 5.8-inch screen, and a dual-lens camera that’ll help you take professional-looking shots that are full of detail. It’s sleek and good to hold, and the fingerprint scanner and facial recognition are easy to use. It all runs very smoothly, and then there’s the battery life on this thing – it’s impressive. You can use it all day, making calls, listening to podcasts, WhatsApping – the works – and still have plenty in the tank. Oh, and there’s huge internal storage too. That’s our pick of the best mid-range phones, which we think would make an ideal Christmas present. 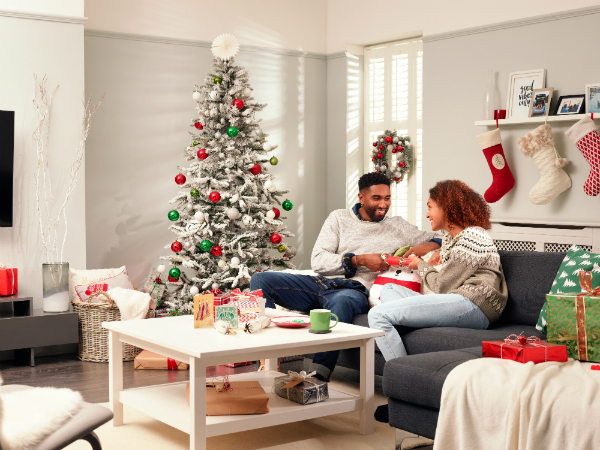 Whether it’s for someone else – or you’re putting one of these on your own list – we think these would make anyone’s Christmas. Is there a particular phone you think we’ve missed? Let us know in the comments below!